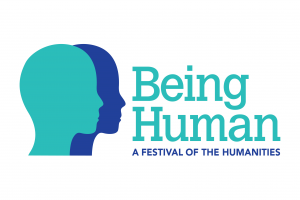 On Sunday 20th November, Jenny Burns, Naomi Wells and Georgia Wall from the TML team at Warwick are holding an event in partnership with Birmingham’s Ikon Gallery as as part of the Being Human Festival of the Humanities. This day of creative exchanges will explore how in multicultural communities we translate and transact between languages when we express our experiences and emotions and listen to the stories others tell. The idea of ‘Familiar Strangers‘ reminds us of how we might feel uncertain, even fearful, about encounters with different people, languages, places and practices, but might also feel the excitement and the hope of making new connections and recognizing our own experience in that of others. In the morning, we will hear performances and readings from a multilingual group of Birmingham-based writers. An afternoon drop-in workshop will invite the public to bring the words they each associate with feelings of hope and fear and work together with us to produce short pieces of writing. The writers performing are: Femi Abidogun, Kristina Gavran, Pascale Presumey, Shirin Ramzanali Fazel, Farideh Valigholizadeh and Ahmed Magare. To book a place, please visit here.